Excursions in the vicinity of Kraków will be offered at extra charge. Short excursions will be organised on Tuesday and Thursday. The whole day tourist programme will be offered on Saturday, July 7, when there will be no more scientific activities. The excursions are described in detail in the bookmarks below. If you want to book one please fill in this form online: http://www.kongres.jordan.pl/en/articles-39/6th-european-congress-of-mathematics. 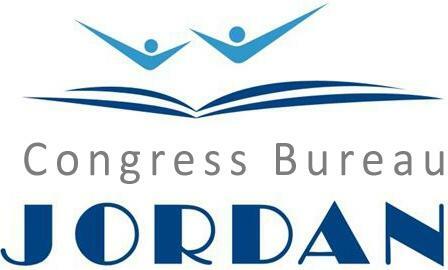 The tour operator for all the excursions is Jordan Congres Bureau www.kongres.jordan.pl/en. Soon we will publish here an online form and you will be able to book the excursion. The boat trip on Tuesday starts at 6:00 p. m.
Excursions on Thursday start at 3:00 p.m.
Excursions on Saturday: Zakopane 7:30 a.m., Tarnowskie Góry 8:00 a.m., Wieliczka and Auschwitz 9:00 a.m.
Tyniec is one of the most popular destinations near Krakow. This thousand-year-old monastery is located on a beautiful cliff on the right bank of the Vistula river, surrounded by peaceful, green forests. The Tyniec Abbey, one of the oldest in Poland, is now a mixture of styles – starting from the remains of the original Romanesque monastery through the Gothic chancel to late-Baroque parts of the interior. KL Auschwitz-Birkenau was a complex of concetration and death camps, established by Nazi Germany in Oświęcim and its neighbourhood – areas annexed during the World War II. With over one milion victims – citizens of many European countries – it was the main place of extermination of the Jews. Tarnowskie Góry is a town in Silesia in southern Poland, particulary known for its long tradition of mining industry, which lasted hundreds of years and left as a result an extensive underground system of galleries, adits and pit shafts. A tourist attraction. A ballroom. A concert hall. A sports hall. An art gallery. A sanctuary. And all of this underground, sculptured in salt, in Wieliczka. Amazing? Of course! One way or the other, the one million tourists who visit this historic mine just cannot be wrong. The historic Salt Mine in Wieliczka is the only mining site in the world functioning continuously since the Middle Ages till 1996 - and one of the 12 sites that were registered, 30 years ago, on the UNESCO World List of Natural and Cultural Heritage. Called 'the Winter Capital of Poland', Zakopane is situated at the foot of the Tatra Mountains and is the highest-located town in the country. Being a popular destination for skiing, just 100 km away from Cracow, it is also famous for the International Festival of Highland Folklore taking place every summer. What makes the town more attractive is its nearness to the Tatra National Park, visiting which is one of the main points of our excursion. KL Auschwitz-Birkenau was a complex of concetration and death camps, established by Nazi Germany in Oświęcim and its neighbourhood - areas annexed during the World War II. With over one milion victims - citizens of many European countries - it was the main place of extermination of the Jews. A tourist attraction. A ballroom. A concert hall. A sports hall. An art gallery. A sanctuary. And all of this underground, sculptured in salt, in Wieliczka. Amazing? Of course! One way or the other, the one million tourists who visit this historic mine just cannot be wrong.